Omoyele Sowore, the publisher of SaharaReporters (SR), described as Africa’s Wikileaks, needs no introduction in the Nigeria’s public sphere. Sahara Reporters is an online community made up of “citizens reporting the news and writing reports without barriers, oblivious of borders and regardless of frontiers“. The consistency and temerity with which SR has exposed corrupt public officials in Nigeria has earned this online medium a legendary stature in the country. By clipping down the gate keepers and allowing air into the public domain, Sowore’s SR has and continues to, unmask the big masquerade that milks the common good of one of Africa’s largest nation. Speaking the truth to those power has never been palatable anywhere. Daring to do so in Africa may be the same as signing one’s death penalty. If you have any doubts, ask Omoyele Sowore, the publisher of SaharaReporters. I did ask, see transcript by clicking on this link: Global Voices Online. True to its name, The Lighthouse Nursery has been a source of light in the near darkness of pre-school education in Nigeria. Nwachukwu Egbunike sat at the feet of Mrs Noma Sodipo (proprietress of The Lighthouse Nursery) and drank from her wealth of stories. 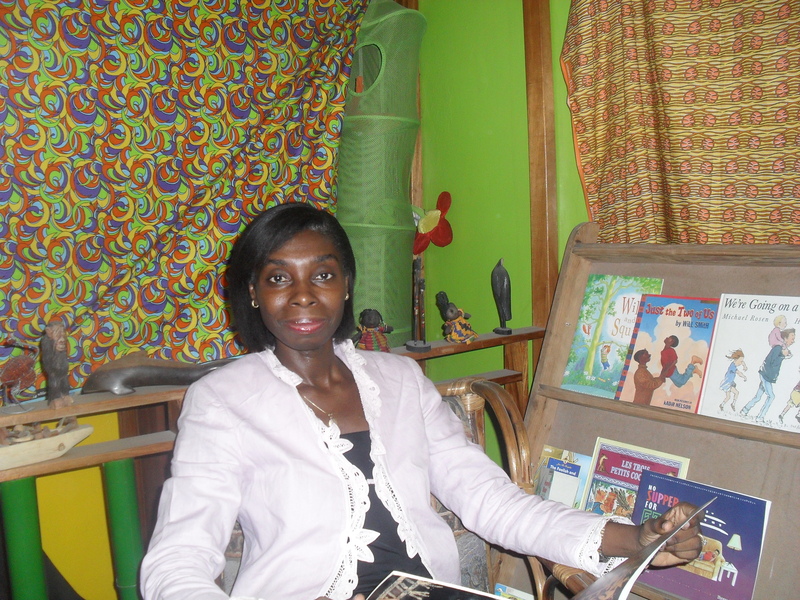 Mrs Sodipo, an Optometrist, asides being Fellow of the Royal Society for the Promotion of Health (RSPH) and a member of ARVO (Association for Research in Vision and Ophthalmology) is the presenter of the popular TV programme for kids – Story-Time with Auntie Noma. It started almost 14 years ago – August 1996. Then my oldest child was almost three. We had just come back to Nigeria. Although I trained as an optometrist, I wanted to be with our very young kids. I had heard all the stories about mothers leaving very early and returning very late from work, and somehow that didn’t appeal to me! So when the idea to start something like this came up, it just ‘clicked’ as it were; and my husband had the same idea at the same time (laughs). Prior to that, he had been suggesting other things, like starting an eye clinic. I had my son as my first pupil and that’s how it started. It was fun and good. 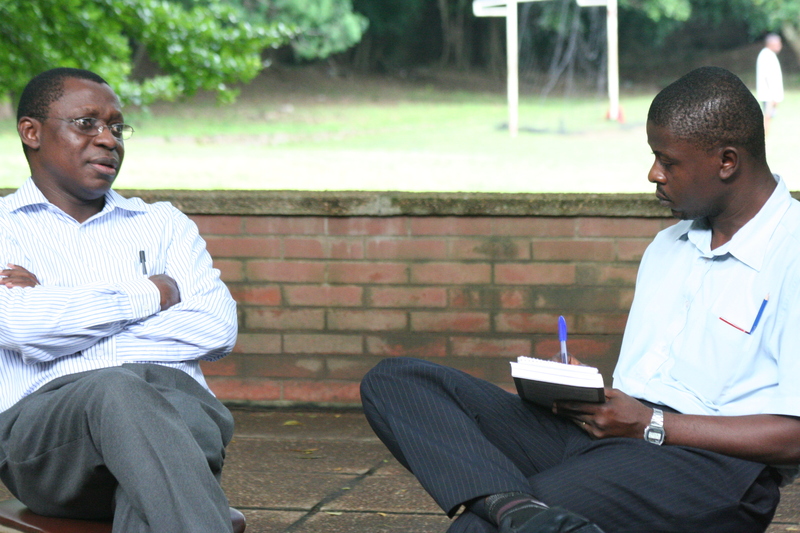 He learnt a lot – most things that we had set to cover in a year, he covered in a term! My daughter was a year old when we started. Other pupils joined us before our third child came along, and we have carried on since. One of the greatest challenges really had to do with the spoken language of the children. What we tried so hard to do seemed to quickly be ‘undone’ by the third party- the home-helps! For instance a child comes back from the long vacation and keeps saying ‘oya now’,’ jo’, ‘o’,and so on(all from our list of Top Ten Unnecessary additions) and you have to keep correcting them, without stifling their efforts at learning to speak. The fun thing though is that the kids quickly correct themselves, and we laugh over it. We adults often are ‘guilty’ of it. We say these things and the kids hear and emulate us. They, on the other hand, do not know which is proper. Whether we like it or not, we have been colonised by the British and have to speak English. So, as I tell parents, if you’re speaking Yoruba, speak it well; if you’re speaking Hausa, speak it well; if you’re speaking Igbo, speak it well; if you’re speaking English, speak it well! At least in training your young children who don’t know the right way from the wrong way. Having said that, different races do have their various slangs in speaking English – the Jamaicans, South-Africans and of course, us Nigerians. It is also good to encourage the parents to spend time with their kids regularly. A little reading to a child regularly works better than trying to do everything at weekend. It’s easier to lose their attention that way. It’s best to stop before they ask you to. For the staff, continuing education is a must. Even with a master’s degree you may still have to be trained in handling/teaching children. The teacher should also have the passion to take care of pre-school children. Staff attend certified courses outside. We have regular in-house seminars, as well as encourage staff to go on the internet and research on a topic and then present to the others. They learn and also criticize constructively; in the end the teacher is better for it. I believe in getting them interested in books early. One way is by reading to them and letting them see that you are interested in books yourself. It’s like read, read, read and they don’t see mummy reading at all! For preschoolers, use a lot of brightly-coloured books, with relatively little text. As they grow older, then less of pictures and more of text. It is important to choose the right time to read to a child – not when the child is tired or hungry. The right place (pointing to a cosy area layered with carpet), or a nice, comfortable corner helps to associate reading with fun and not to see it as a sort of punishment. It is also good to get them involved by looking at books on their own. The book could be one shared by the teacher earlier, or one chosen by the child from the library or book corner. A school teacher can give them freedom at their silent reading time. Don’t interfere too much here by trying to bring in questions on the subject matter especially when they’re interested in what they are reading. At home, parents can start a mini-library or stock a book shelf along with their kids. We should not make the mistake of seeing reading as an end in itself; reading is a tool, that is, a means to an end. We should not just be content with the ability to read without going on to provide suitable materials for the use of the tool our children have learnt to handle. We should not spend a whole year on a book with a set of pupils and leave them with no desire to read for themselves. Our aim must go beyond a mere ability to read; it should be to cultivate in our children a desire to read for themselves. Get them to read with a purpose, just as you get them to write with a purpose. There’s so much out there to read – recipes, menus, comic strips, game instructions, bill boards, newspapers, books and so on. Just like you get them to do after a holiday, when they write about things they did or places they went, and not stopping at only writing: ‘a’ – aunty has an apple; ‘b’ – Bobby has a ball, etc., you also get them to do some purposeful reading. Of course! You find that kids whose parents spend a little bit of time reading regularly with them actually do better. After all the parents are the primary educators of their kids. You know your child so well – when he or she is happy or sad, excited or moody. You also know when to chip in a ‘lesson’ without turning every opportunity into a lesson! If you follow what they’ve been doing at school, you know how to bring it in at home for reinforcement. It’s all about helping them develop habits. We’ve talked about the importance of having a mini- library or book shelf at home. A parent’s interest in books also tends to influence a child positively. Reading to your children and looking at books with them (well-illustrated adult reference books as well as children’s picture books) also help. Attending book-reading/storytelling events especially when they’re fun and watching good book-oriented TV programmes are other great ways. In line with encouraging children to imbibe a good reading culture, we organised a special edition of Story-Time with Auntie Noma, with the First Lady of Lagos State, Mrs Abimbola Fashola, as special guest storyteller. Books by Nigerian authors were read and Nigerian publishers like Evans Brothers supported by generously donating books, which were given to all the children who attended the free event. The participating pupils were drawn from schools all over Lagos State. Several celebrities were present to inspire the kids. Joke Silva read the winning entry of Auntie Noma Stories Competition. Onyeka Onwenu sang with the kids, Tee Mac played his flute and Lagbaja organised a dance competition for the kids. Cash prizes plus fantastic incentives for writing stories such as winning entries being published were all part of the fun-packed events. Plans are under way to take this to other parts of the country. Though this may seem little, when compared to all that still needs to be done, it a good beginning in igniting the interest in books from a tender age. The TV programme started five years ago, really as an extension of what I had been doing for years. I actually started a Bible Club for kids in Ibadan way back in 1987, soon after my youth service. Storytelling and reading naturally were part of that! I also voluntarily ran story time sessions, along with art and craft and song time, for ten years in Ikoyi Club Library, as well as story-telling at the British Council Book Weeks, CORA events, invitations as guest storyteller to schools in the UK, international schools in various parts of Nigeria, Train the Trainer programmes, etc. It wasn’t such a new thing, although the TV aspect took some getting used to. (laughs). Story-Time with Auntie Noma, as well as being a fun-filled family programme, reinforces the fact that children learn in a variety of ways. Taking learning outside the four walls of a classroom, it creates a vibrant and refreshing approach to life from a child’s perspective. Rather than being a dull straightforward educational programme, it is entertaining, exciting whist being very educational. The many opportunities to learn about our varied cultures, portraying the positive aspects in very attractive ways, as well as learn about ways of life outside Nigeria has made Story-Time with Auntie Noma stimulating to both Nigerians and non-Nigerians alike. The weekly half-hour programme is shot on location and in the studio. In addition to the location segment, Story-Time with Auntie Noma also features storytelling; rhymes and songs; arts and crafts. A theme is chosen for each week, and the above three features are woven around the theme ranging from Waterfalls to Twins in Africa, Dragon Fruit to Slave trade; Counting; Colours and Computers to Taking Turns, Talents and Transportation. Our locations include; animals on safari in Kenya and Yankari Games Reserve, Nigeria; Kayaking on the Indian Ocean; Cricket at the Oval, London; the Delft Pottery works of Holland; Sightseeing in France, South Africa, Zambia, Ethiopia, Ghana, Dubai and even Norway. The crew have also captured locals at work – basket weaving, making garri, etc. Story-Time with Auntie Noma is aired on Channels TV, Africa Magic, Gateway TV, Desmims TV (Kaduna), EBS (Edo), TVC and BEN TV (Europe). We get lots of feedback from Nigeria and abroad. For instance, a Nigerian woman whose grand-children live in France was delighted to hear them greet her e ka aro! Although their father is French, they picked up the words from the Good Morning song video during the programme, which they were able to view through Sky network in France. For people in the diaspora, that cultural touch is what really glues them to the programme. I also got an e-mail the other day from a mother who just watched the programme with her kids in the UK. For many abroad it brings back nostalgic feelings too. Many of the kids here in Nigeria call in to be part of the programme; so it looks like we really should get some sort of a club going! At the moment many are calling in to be part of Story time with Auntie Noma’s 5th Anniversary trip to The Gambia this summer. It’s unfortunate that teaching in nursery school seems to be reserved for the ‘less successful’. It does not mean that the younger they are the less effort a teacher puts into it. It requires a lot of passion and skill to hold the attention of pre-school kids for thirty minutes. There are people who can handle pre-schoolers and not handle teenagers and vice versa. If you are a person who feels at home with teenagers, you probably can’t survive five minutes with pre-schoolers; they’ll tear your head apart. It’s all about identifying your area of interest. It is also a generalisation to say that the worst are going into teaching. Many teachers have always had a passion for it (like my kindergarten teacher), while many are doing post-graduate courses in education; I’m doing one. And you have many other professionals like medical doctors, lawyers, priests, etc taking so too(laughs). All this has been made possible with the help of God and a very supportive family. My husband, Dr Bankole Sodipo especially has been a great inspiration and support. DR (MRS) PATRICIA OYELOLA is a grand teacher whose career dates back to the threshold of Nigerian’s independence. Dr Oyelola took Nwachukwu Egbunike (Feathers Project) into a voyage of the past, navigating through the present and peeping into the future. It’s an odyssey of a woman who has made Nigeria her home. This is a splendid discussion with the grand old lady of Nigeria’s educational system. Photographs by Bola Famuyiwa. I graduated from the University of London in 1959 with a B.A. (Hons) in French and Latin, and came to Nigeria the same year in December during the elections. Very funny, but the first phrase of any Nigerian language I learnt was bakodaya, Hausa for ‘not even one’, referring to the performance of a political party in the elections. My husband was in the Ministry of Works and Transport. We came to Ibadan to find out that he had been posted to Akure – then a very small town. I had not intended to teach rather to stay at home. A priest, Rev. Fr O’Shea of the SMA approached me to teach but I turned him down initially. However he was very pleasant and persuasive, saying that they had a government inspection and needed a graduate to complete the required staff strength, so eventually I agreed. I was employed to teach English and Latin at St Thomas Aquinas College, Akure on Nigerian conditions. I was teaching boys who were older than I was! That was Nigeria in the 60’s. Nonetheless, there were never any problems with discipline because the boys knew that if they worked hard, they would have a bright future. They also knew that their parents were making lots of sacrifices to send them to school. The school was an all-boy’s school, with a completely male staff. I was the only woman in the school. I never had problems with the students, though I was younger than many of them. The ‘60’s were the golden age of education in this country. I never saw teachers skipping classes. It was unheard of, not because anyone was constantly monitoring us. No it was just inconceivable that a teacher should miss his class. Those were also the post Independence years with a wonderful atmosphere of hope and optimism. On transfer from Akure, we came to Ibadan where I was given a job in Our Lady of Apostles School, Odo Ona. This all-girls’ school was run by the OLA sisters, the female wing of the SMA’s. Rev. Sr. Ailbe – a talented and dedicated teacher with a serene disposition – was Principal then. I taught French and English. It was a happy school with very devoted staff. I was there till 1967, when I left for the International School, University of Ibadan (ISI). Since I had decided to make a career out of teaching, I did a PGD in Education in 1966, in order to give me professional training. ISI in those days was a truly international school in terms of staff and students, with world class standards. The teachers were there not because they didn’t have a better job elsewhere: they were 100% teachers, totally devoted to what they were doing. We put on professional class plays which were truly memorable – “Tea-House of the August Moon” was one of these. Education was not confined to book work alone. In the ISI of those days, it was required for the students to do a project and service in addition to school work. The project consisted of an extra-curricular activity (current affairs, drama, choir, etc.) while students did community service by teaching the children of the junior staff or taking care of physically challenged people. ISI was an extremely pleasant place to work in with a beautiful compound and stimulating colleagues. I retired from the school in 1994 as the Vice Principal (Academic). Since I have always been fascinated by African art, I did a Masters and Ph D in this field and later taught in the Institute of African Studies of the University of Ibadan. On retirement, I was invited to teach at the Ibadan International School (IIS). I prepared the first set of students for the IGSE exams and the results proved that I can still deliver the goods! After this, I look forward to calling my time my own. I have always enjoyed teaching because it can never be boring. Every year, you see new faces, different personalities; no two of the students are ever alike. As a teacher, you are always learning. When discussing a poem for instance, you always get ideas from your students that have never occurred to you before. It’s very interesting! Teachers may complain that the students are not disciplined, but it’s extremely disappointing to notice that many of them are not any better. A teacher is a role model. If you are to insist on a certain standard of behaviour, then you must be ready to live by it. Teachers must realise that what one says, does not have the same impact as what one does. This is the reason why most teachers can’t buy books that will aid their intellectual development. You have to develop yourself intellectually to be the best. If a country can’t vouch for the integrity of its exam results, then we are lost. There’s so much malpractice now that people can’t take our certificates at their face value. Of course, this is a fall out from the society itself. The children are imitating what they see around them, there’s so much corruption. It is distressing that a parent can aid his child to cheat in exams. Really I don’t know the solution. People say that the schools should be returned to the missions. The big question is, do they want the schools back? There is all round decay, the physical environment, teaching standards and morale, etc. The huge numbers of students in a single class make it difficult for both teachers and students to cope. If you say that education should be in the hands of private individuals and organisations alone, it means that the vast majority who can’t afford it don’t matter. Are the children of the only ones with brains? Every child should be given the opportunity to develop his individual talents. Every child is entitled to the fundamental human right of being educated at least to secondary school level. I am a product of the British state education system. In my secondary school, we had all graduate teachers, including some from Oxford and Cambridge. I did not pay a penny for the high quality of education I received. Quality public education is possible if you believe in it and make it work. What is needed is commitment by government, teachers, and inspectors. In addition, you’ve got to have integrity. If you budget N XYZ million on education, you are accountable for every naira spent. The problem of integrity is central to our society and education is part of the system. If integrity is lacking in the education system, what do you expect? The cliché that teachers are role models should be taken more seriously. For when a teacher is hardworking and honest the child will strive to be like his teacher. However, when the teacher is a contradiction of these things, then where do you expect the students to learn from? Some private schools are mere businesses that pay their teachers starvation salaries. Many of them have international affixed to their name as a sort of charm, a money spinner. School inspections should be carried out by professionally qualified people of integrity. Owners of most private schools pay very little, so teachers are forced to supplement their salaries by conducting extra lessons till midnight. My son went to a public school and never had a single minute of extra tuition from anybody. He is now an accomplished professional, trained here in Nigeria. The standards have gone down, down and down. The figures published recently were unbelievable. However, the question nobody seems to be asking is what were the inspectors doing? How could they have allowed this depreciation in the first instance? What was their duty, if not to maintain standards? The greatest malaise facing our country is that people have lost faith in her, which is also affecting education. Young people are looking for ways to leave her shores and seek their fortune elsewhere, ignorant of the many problems they would have to face in a foreign land. The saying that, ‘from Africa there is always something new’, finds its greatest manifestation here, in the creative genius of the people. I am not just thinking of the cultural giants like Achebe, Soyinka and Osundare, Enwonwu, Grillo and Onobrakpaya, Victor Olaiya, Fela Ankulapo-Kuti and Sunny Ade, but of the younger ones who are keeping the flame alive. Writers like Adichie, Oyeyemi and Attah; artists like Anatsui, Ogundipe and Wewe; musicians like Lagbaja, Femi Kuti and Asa. Nor is creative genius confined to the literati – it flows through the fingers of the potter, the carver and the weaver, whose works are admired throughout the world. MR EMEKA ENEMUOH, the Vice Principal (Junior School) of Whitesands School, Lekki Lagos, spoke to Marruff Bello (Nigerian Tribune) and Nwachukwu Egbunike (Feathers Project) during an in-house capacity building workshop for the staff of his school, which took place recently in Ibadan. Mr Enemuoh a teacher’s teacher was not only passionate but also optimistic that if things are done the right way, the education industry will be able to pull the country out of its current cyclic state of despondency. Why host an internal continuous capacity building workshop for your staff outside Lagos? This is the second year of having a more comprehensive workshop for the entire staff. Prior to this, we always had it in Lagos and it was usually a one day affair. Last year we had it in a vacation resort in Ijebu-Ode, Ogun State, while this year we decided to come to Ibadan. The aims of the workshop are many: to foster unity – internal unity – among all categories of staff, academic and non-academic. Living together also helps to strengthen the team. It provides an opportunity to interact in a relaxed atmosphere outside the official school setting. It is also necessary to foster the idea of having one mind and one voice among the staff. Lastly, as a school that wants to remain at the top, it’s an important way of fostering the spirit of excellence, developing the teachers in human refinement, professional orientation and cultural formation. It is absolutely essential to enrich the educators, because it has a ripple effect on the students and the school. It is also in line with the philosophy of our institution, that by re-educating teachers, it goes a long way in improving the quality of their output. One cannot give what he/she does not have. Quite intriguing to have all the staff together; the usual practice in some establishment is to segregate the management from senior and junior carder employees. A school is a learning institution for all those involved in it – the students, teachers and parents. A school should also educate with all that it has, both material and human. I’ll give you an example, in Whitesands School we have a gardener who proudly refers to himself as the horticulturist. He carries out his job with amazing professionalism, that it is always a delight to admire the flowers and the lawn. I always tell my fellow teachers, that we have a lot to learn from our horticulturist. It is not only those found in the classrooms that are responsible for educating the children. That’s why in my school, all members of staff are called educators irrespective of their specialisations. Also in education we have what is called the hidden curriculum. Although it is not seen, implicit and unwritten, nevertheless it is very important. The drive is that every single member of staff is involved in educating. For instance, a florescent goes off in a classroom and it is replaced after two days, may seem to be the usual thing. However, if it is changed immediately, it becomes a more potent way of teaching the kids about punctuality and vice versa. However, if the so called technician does not see himself as much of an educator as the teacher, he will probably not be so keen on doing his job well. Thus the messenger is as important in our school as the principal. For us, it’s all about teamwork, not the ‘we’ and ‘them’ mindset, which is counter productive. Education does not stop at teaching mathematics or physics, but should be all encompassing, building the whole man. This is called the integral or all-round formation. I have my fears; it’s a real problem that we are facing. The standards have been deteriorating for quite some time now and nobody seems to care. If you remember the attempt to reform the education sector in the last administration. The level of decay was horrifying and these are things we have been living with for a long time. The photographs taken around the country made the former Minister of Education to weep during the public presentation. Individually those pictures were not significant but when collated, it was really depressing. This is because not enough attention is been paid to education, though we cry about the rising trend of societal ills. A country that does not value its educators will always end up in this situation. You just returned from a post-graduate study in Europe. Can you compare the industry in Nigeria with that in Europe? Personally, I’ll rather not compare education here with what is attained any where in the West. The reasons are obvious. However, there have been reviews of the level education in many countries by the Economist and other bodies. Finland has the highest standard of education in the world. The results showed that countries with high standards remain so because of the attention paid to their educators. Not that they paid their teachers fantastically high salaries, no, it’s just that these countries spend a lot of time and resources in training the teachers. They expend a lot of energy and effort in selecting the very best as teachers. Also the mentoring, lots of money is spent on educators themselves and not on their supervisors. Thus the educator has to be a role model – professionally and on the human level. It’s high time our country tries to follow suit. Education is meant to be a leveller not a privilege for the rich only. It is one of the few available means of raising people out the indigence of their parents. In Europe the emphasis is not just on schooling but on quality, by which I mean a well-planned and well delivered, rounded education. A school is ranked based on its ability to expose her students to many possibilities (sports, culture, arts/music, academics, etc.) and in so doing fixes each child where he/she has shown better proficiency. Each child is different, while one may be highly talented in academics, he/she may also be very hopeless in other areas and vice-versa. This is a fall out of the negligence in the educational sector, we are churning out millions of practically – pardon this expression, but that’s the truth – useless people. Some are of the view that half education is better than none. I vehemently disagree with that because in this country we have many people in this category. They have so much energy but they have little education. They may be literate, but they are uneducated. Since I interact with some parents who involved in the human resources units of many firms, they are all telling the same story. We have graduates who don’t know anything. Whitesands Schools is a project of Ikota Education Foundation, a non-for-profit trust based in Lagos. The school was established eight years ago. The Principal is Mr James Efekodo and the Chairman of the Board of Governors is Professor Albert Alos, Vice Chancellor of the Pan-African University Lagos. The religious and moral formation in the school is entrusted to Opus Dei, an institution of the Catholic Church. The philosophy of the school is to form a whole man: students who are not only academically competent, but also groomed in virtues. Part of this article was published in Nigerian Saturday Tribune, August 9, 2008. Evans School Supplement, Oct-Dec 2008.